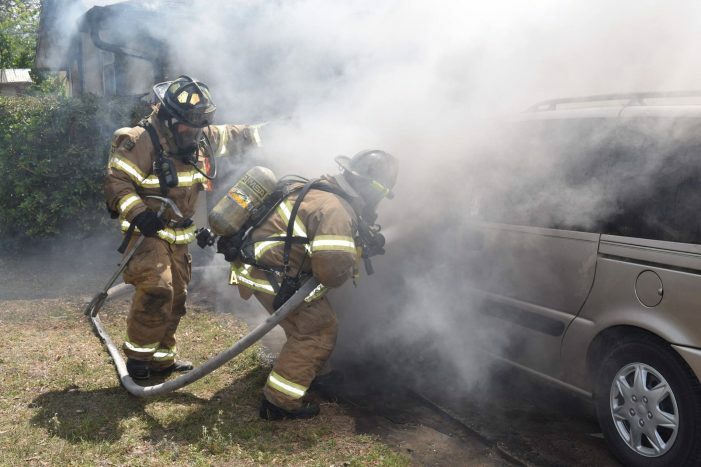 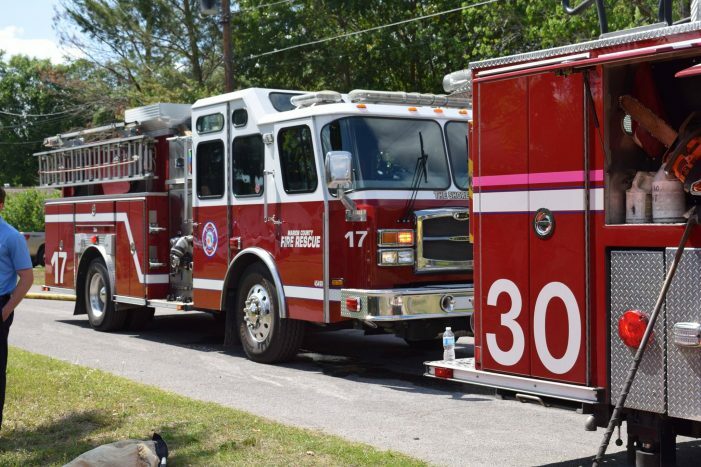 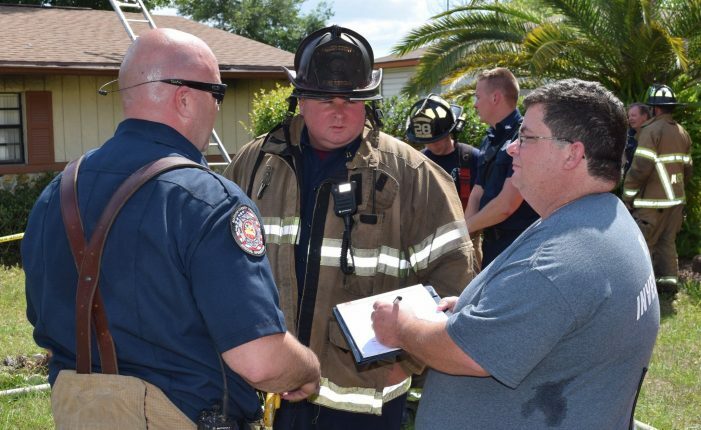 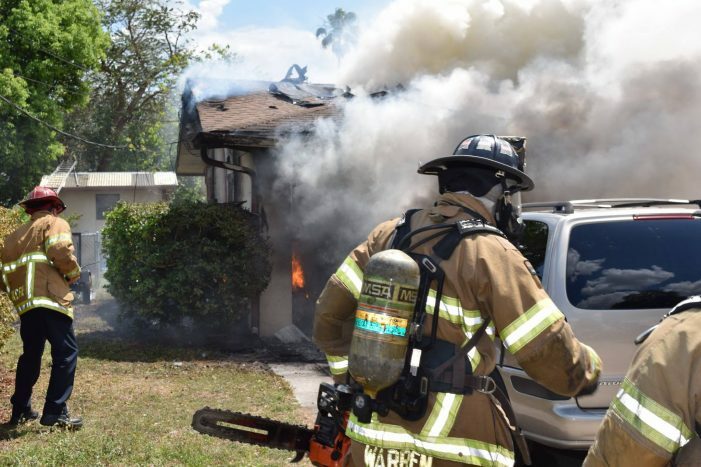 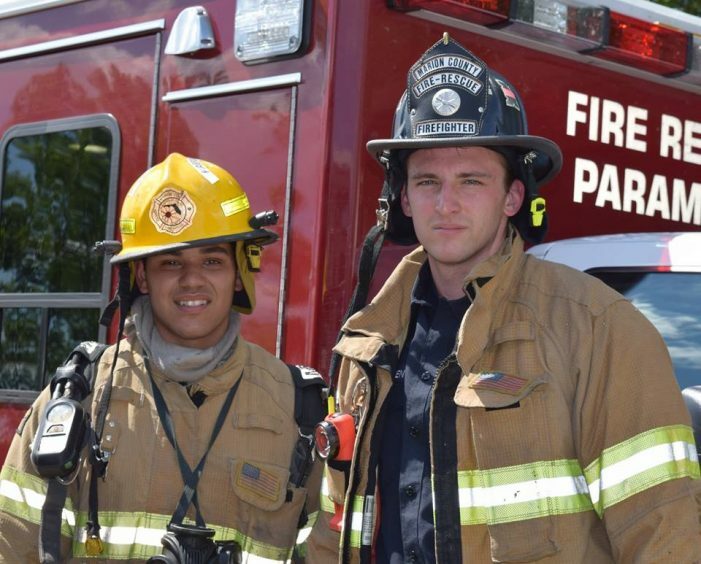 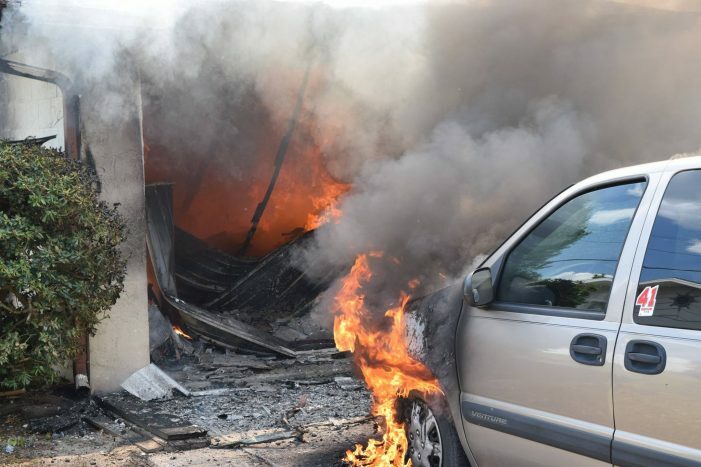 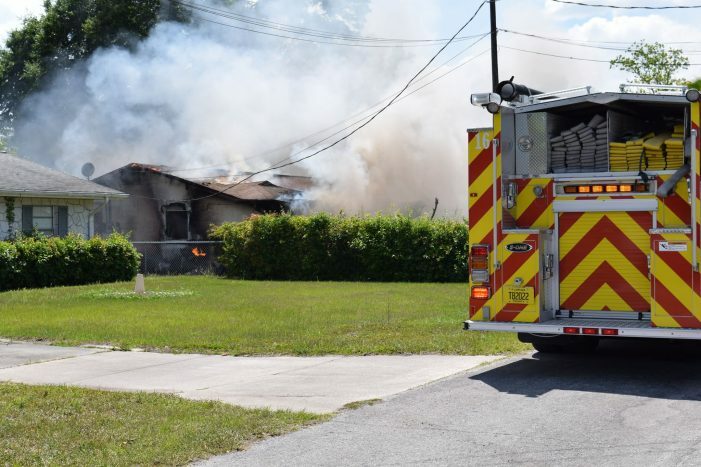 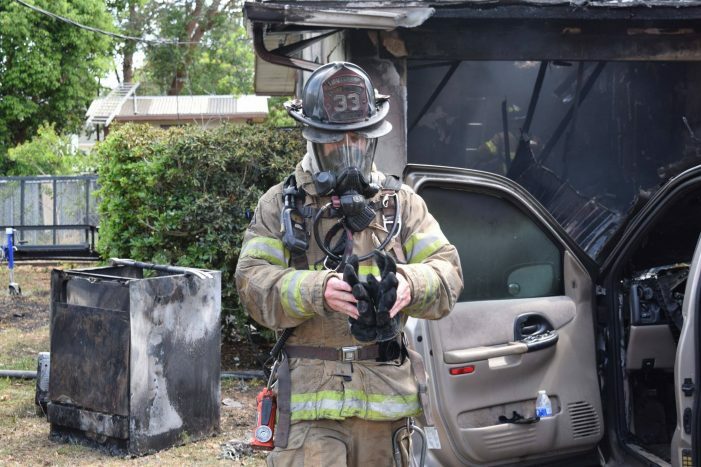 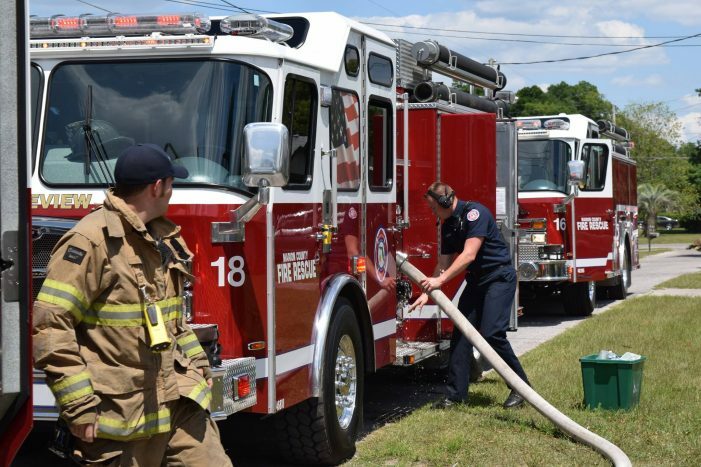 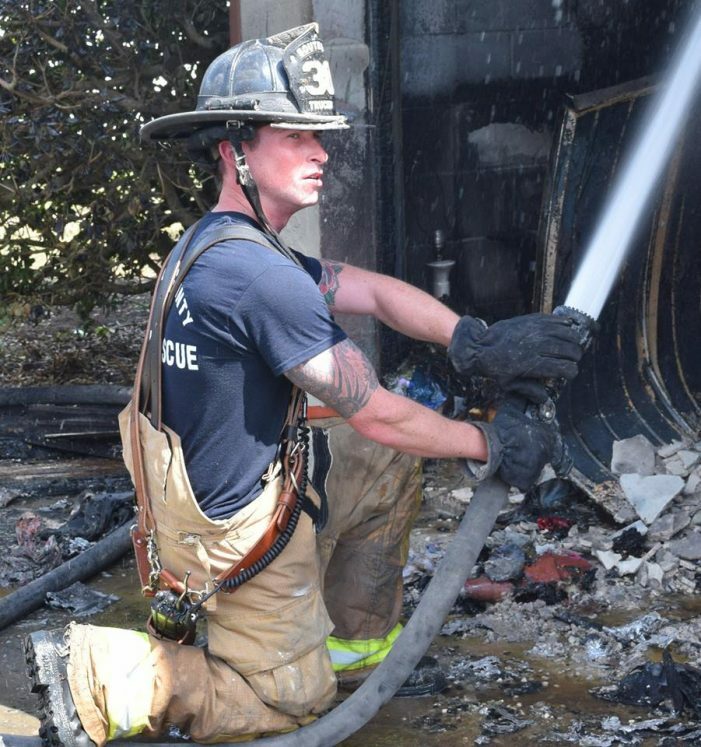 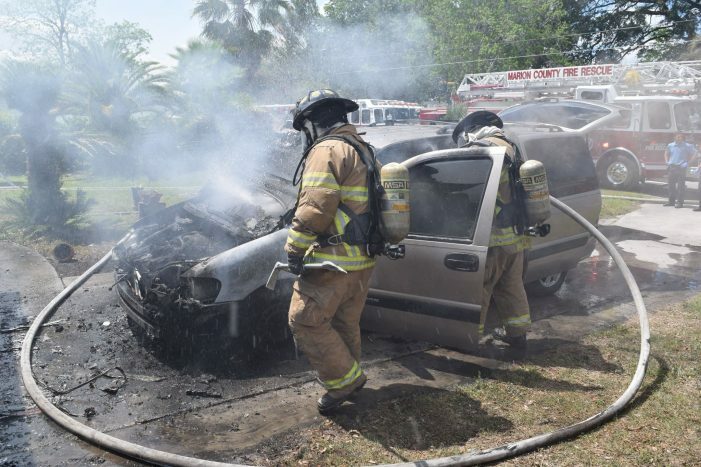 Belleview, Florida — A woman was hospitalized after Marion County Fire Rescue firefighters pulled the homeowner from her burning home Sunday. 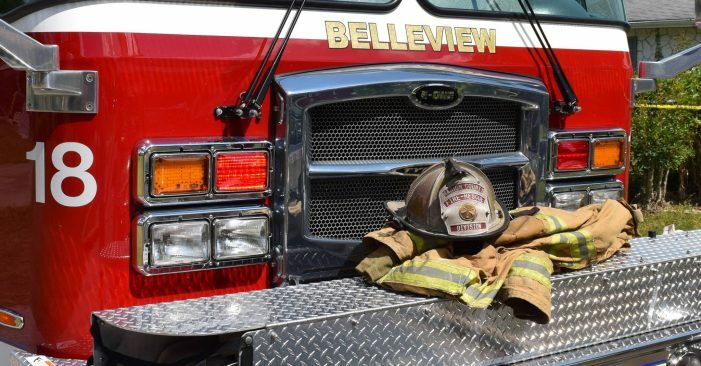 Dispatch received the call from a neighbor of 5145 SE 107th Place, Belleview, at approximately 2:38 p.m. 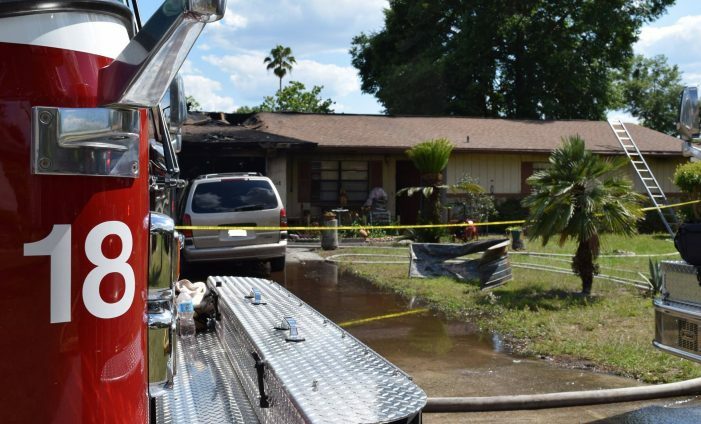 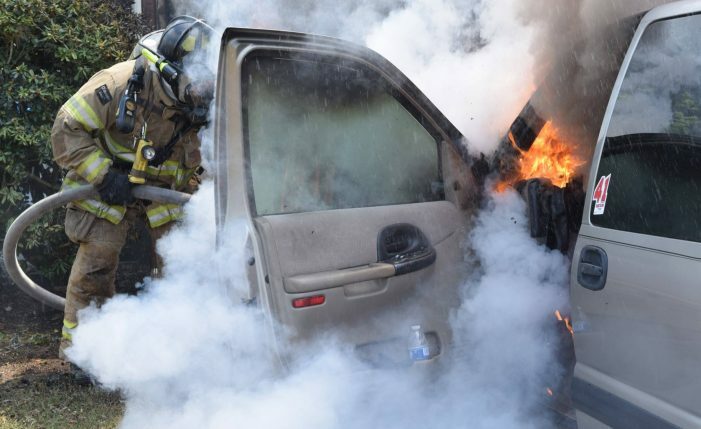 The caller stated that her neighbor’s home was on fire and someone was trapped in the house. 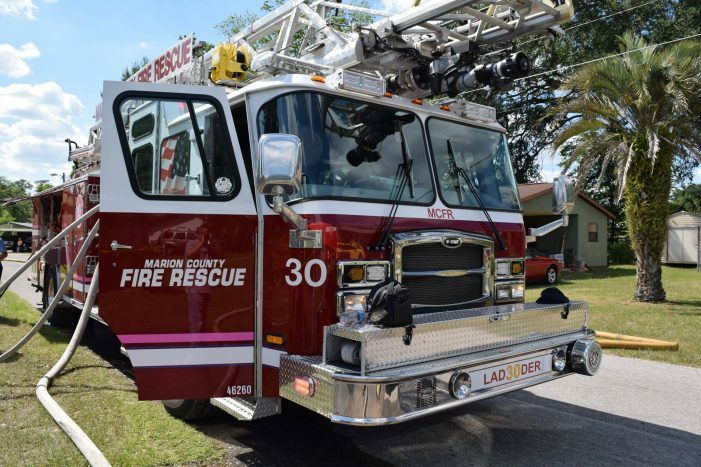 Belleview Police Department police officers arrived on the scene first, immediately followed by MCFR crews from Ladder 30, who arrived on scene at 2:39 p.m.
Once MCFR firefighters arrived, they broke down the front door to gain entry to the home. 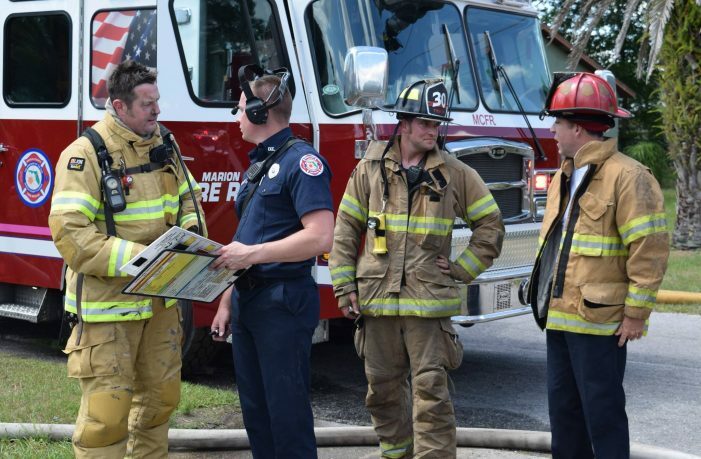 Additionally, crews from MCFR Belleview Station 18 made entry and completed a right-hand search of the structure. 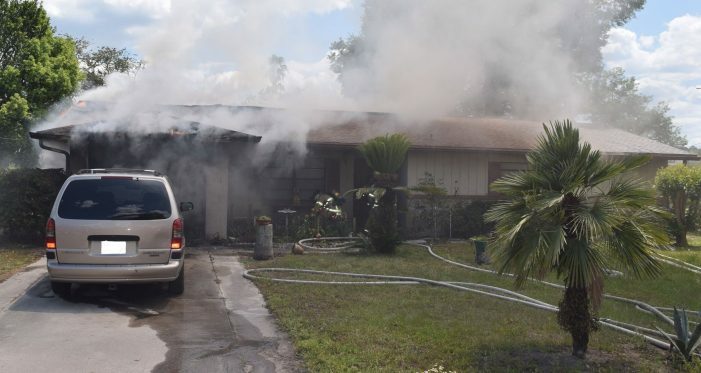 According to MCFR Public Information Officer, James Lucas, an Elderly female, later identified as Alice Jackson, 76, was found in her bedroom and pulled from the home while firefighters battled the hot flames. 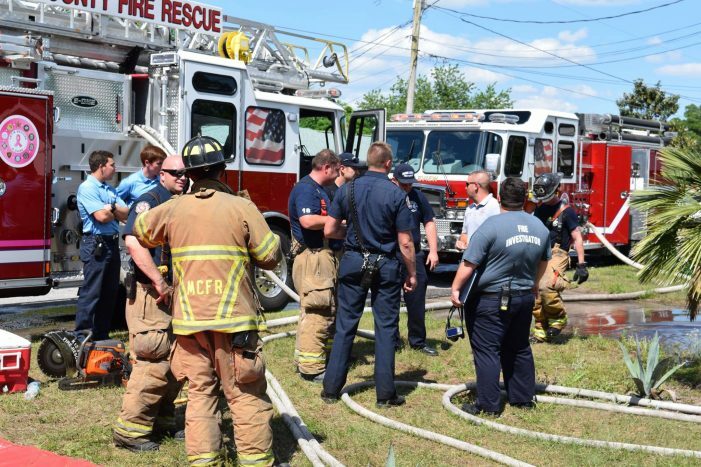 MCFR paramedics treated her on scene and transported her as a “trauma alert” to a local hospital. 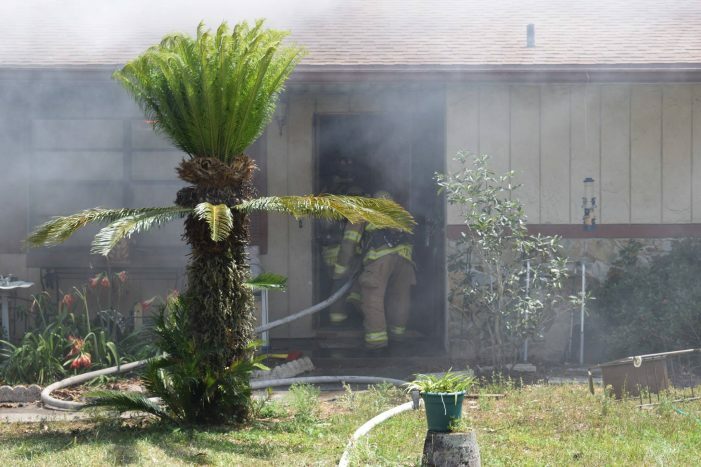 According to a press release, 14 units and 26 firefighters were dedicated to the fire. 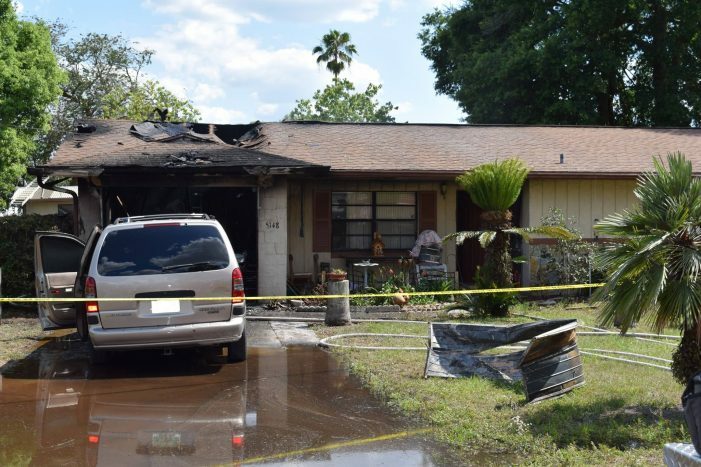 The cause of the fire is unknown and remains under investigation by the Florida State Fire Marshal’s office.